I once saw a business card that referred to the “jelly bean gospel.” Using the colors of jelly beans, the “plan of salvation” on this card went something like this. The yellow Jelly bean reminds us of Heaven. Do you know what Heaven is? Heaven is God’s home. 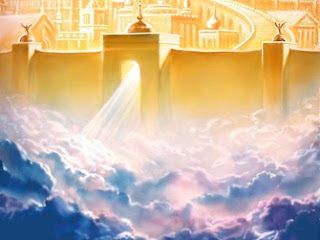 Heaven is filled with the glory, the shining brightness of God. There is no night ther The Bible says, “God is The Light and in Him is no Darkness at all”(I John 1:5). The Bible tells us that in Heaven, the street of the city is pure, clear gold-like glass (Rev.21:21). God tells us many other things about His home. No one is sick there. No one is crippled or blind. No one ever dies. Every person in Heaven will be perfectly happy-always (Rev. 21:4-2Psalm 16:11). The most wonderful thing about Heaven is that God the Father and His Son, the Lord Jesus will be there. God made Heaven. He made you too. He loves you very much. Because he made you and loves you, He wants you to belong to Him and be with Him in Heaven someday. Jesus promised long ago, “I go to prepare a place for you” (John 3:16; John 14:1-3). There is one thing that can never be in Heaven. That is sin. Because you and I are sinners we want to have our own way instead of God’s way. Wanting our own way is sin. Doing, or saying, or thinking bad things is sin. Sin is anything that displeases God. Sin has caused sorrow and sadness in our world. God tells us in the Bible that all have sinned (Romans 3:23). All means every one of us. This dark jelly bean reminds us of our sinful way (Proverbs 4:19). When it is dark, you stumble and cannot find your way. Because of your sin, you cannot find God. Your sin separates you from God, who is holy (I John 1:5). God cannot allow sin where He is. I am sure you can think of a sin which you have done. God has said that sin must be punished. The punishment for your sin is death-to be separated from God forever (Rev. 6:23). The Lord Jesus, God’s Son, said that if you die in your sin, you cannot go to Heaven where He is (John 8:21, 24). God knew there was nothing you could do to get rid of your sin. He knew you could not be good enough to please Him. But He loves you and He made a way for you to be forgiven. 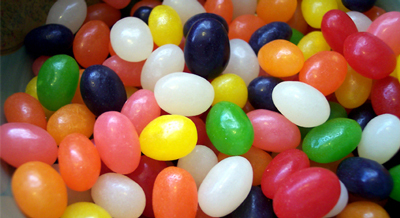 The red jelly bean shows the way God made for you to have your sins forgiven-taken away. God loves you. He sent His own Son, the Lord Jesus Christ, from Heaven to take the punishment for your sin (John 3:16). Wicked men nailed the sinless Son of God to the cross, but while He hung there God put all of your sins on Him. The Bible says, “…God bath laid on Him [Jesus] the iniquity of us all” (Isaiah 53:6). (Iniquity is another word for sin). All your bad temper, all your lies, your meaness-all your sin-was laid on the dear Son of God, and He suffered and suffered until He cried out with a loud voice and said, “It is finished.” When you finish a job, how much is left? Nothing. What did the Lord Jesus come to do? He came to save us from punishment for sin, didn’t He? And He finished the work. When He was nailed to the cross, what came from His hands, and His feet? His blood. God calls it the precious blood of Jesus Christ, and He says “…the blood of Jesus Christ, God’s Son, cleanseth us from all sin” (I John 1:7). There is no other way, for God says, “Without shedding of blood there is no remission [of sin]“-no forgiveness, no payment (Hebrews 9:22). Jesus not only died for you, but He was buried, and He rose again. He is a living savior (ICorinthians 15:3, 4). God showed His love for you by sending His own Son to die for you. Now he says there is one way for you to be saved from your sin. Tears cannot wash away sin. Prayers cannot wash away sin. Doing good cannot wash away sin. But the blood of the Lord Jesus can wash away all sin (Psalm 51:7; I John 1:7). This white jelly bean reminds me that you can be made clean from sin. Did Jesus die for everyone? (YES!) Is everyone going to Heaven? (No, because some do not believe that Jesus died for them. They have not received Him as their savior from sin.) God’s word says, “…as many as received Him to them gave He power to become the sons of God, even to them that believe on His Name” (John 1:12). God has promised you when you receive the Lord Jesus as your Savior, you become a child of God. 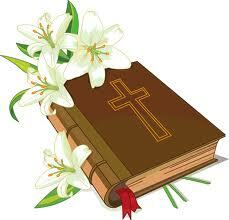 The Lord Jesus Christ died to save you from your sins. He wants to live in your heart and give you power to obey God. Are you sorry for your sin? Do you believe Jesus died for your sin? Would you like to receive Jesus today? You must decide. (Ask the Holy Spirit for discernment. Question the person to respond carefully. Encourage them to express to you before they pray: why they need to receive the Lord Jesus; what the Lord Jesus has done for them; what they want to tell God. When dealing with a group, emphasize what each person must personally believe and receive the Lord Jesus. Give opportunity for prayer. If possible, question each person individually after the prayer to clarify the meaning of His decision. Where is Jesus now? Where are your sins? What took them away?) (Any one of the following verses can be used effectively in helping to know what God has done: John 1:12; I John 5:13; Rev. 3:20.) God promises to you when you receive Him, “…I will never\leave nor forsake you” (Hebrews 13:5). Ask Him to help you each day to please Him. When you do sin, tell God that you have sinned. He will forgive you right away (I John 1:9). Ask Him and trust Him to help you not to do it again. (Lead the person in offering a prayer of thanks). The green jelly bean reminds me of the new life, everlasting life, you have received from God. The color green reminds me of things which are growing outdoors, like leaves, grass, flowers, and trees. when you receive the Lord Jesus as your savior from sin, you are like a newborn baby in God’s family. The Bible tells you to “grow in grace in the knowledge of our Lord and Savior Jesus Christ” (II Peter 3:18). I love Jelly Beans, But now I look at them a little different. Dear Lord, we thank You for the Gospel. We thank You for Your great love, the love that took You to the cross for each of our sins. We thank You for Your glorious resurrection. Proof that we can have eternal life with You. In Jesus’ Name, Amen. Today is Good Friday. I don’t know about you, but that name bothers me. What’s good about today? Maybe it should be called Dark Friday - or Really, Really Bad Friday. The name Good Friday has always seemed sacrilegious to me. Anybody who has read and studied about what Christ went through on that day, knows just what a painful day it was for Jesus. The Romans knew what they were doing when it came to execution. Let’s just say that the Romans studied crucifixion long and hard, had tens of thousands of opportunities to refine it, and by the time they got to Jesus, understood how to make torture and prolonged death into a horrifying art. It is hard to get my head around what Jesus went through for us. 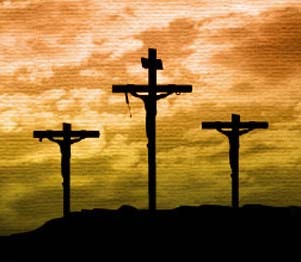 So, Good Friday - how on earth, or in heaven for that matter, did today come to be known as Good Friday? One theory, which is pretty much the only theory out there, holds that for the English and the Dutch it used to be God’s Friday — that makes a little more sense. As with a lot of language, the word “God” got corrupted into “Good” - hence, Good Friday. Slavs and Hungarians call it Great Friday. The Latin nations call it Holy Friday. In Germany, it’s Mourning Friday, and for the Norwegians, it’s Long Friday. Dear Lord, we struggle with how terrible it must have been to suffer under such great torture that You did for each of us. We thank You for Your great love that You showed for each of us. In Jesus’ Name, Amen. "Small and dark-haired..she held my hand." Tom tried to explain, but the doctor was shaking his head. Lets make it our goal to work toward the job that God has for each of us. Keep seeking through His word and praying. Dear Lord, we thank You that You have a special job for each one of us to do. 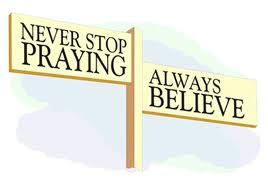 We pray that we would stay on task and accomplish it in your timing. In Jesus’ Name, Amen. John Graham Lake was born on 18 March 1870, in Ontario, Canada. And in 1886 moved with his family to Michigan. He was one of 16 children. Along with many of his brothers and sisters, he developed a strange digestive disease. This disease killed eight of them, but he managed to survive. This overexposure to sickness and sorrow sparked in him a rare and intense desire for the power of God. One day while a young man, he wrote, "God made me aware of my true need when I needed healing from heaven." As a member of the Methodist church, he had only witnessed one healing. Lake studied for the ministry in the Methodist church and in October 1891, he was appointed pastor of the church in Peshtigo, Wisconsin. But rather than be a pastor there, he chose to go into business and founded a newspaper The Harvey Citizen. He met and married Jennie Stevens in 1893 at Michigan. This was followed by setting up a real estate business, Michigan. 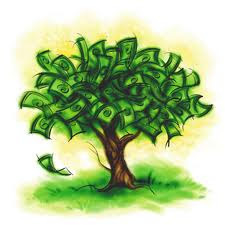 On his first day, he made $2500 and at the end of a year and nine months, he had $100,000 in the bank, $90,000 worth of real estate and a $30,000 paid-up life insurance policy. He also helped start The Soo Times paper, and he also bought a seat on the Chicago Board of Trade. He was later hired to manage one of the country's largest insurance companies. Part of his job was to manage the company' agents. He found that in his work he preferred to talk about salvation rather than business. He told his partners that he needed a holiday. He had a wage of $50,000 a year to come back to, but chose to leave shortly after, never to return to the business. He was now in full time ministry. It was at this time he also decided to dispose of all his possessions and use the money to meet the needs of others. Later his wife also became sick with a heart disease and tuberculosis. And at this time he still had two members of the family critically ill, (cancer and issue of blood) and one an invalid for twenty-two years. John Alexander Dowie became a door of hope for Lake. As he began to take his family one by one, he saw them get miraculously healed. It was in this time of stress that he received a revelation of the scripture in Acts 10:38. As he read how God had anointed Jesus to heal all that were oppressed by the devil - it suddenly came alive to him. Spiritual Awakening Lake later learned a great lesson from John Alexander Dowie when he criticized some of Dowie' methods. Dowie soon told him that when he had had the vision that he has had, shed the tears he has, suffered what he had suffered and in God created a city of ten thousand Christians, then he would be competent enough to criticize. Lake took to heart what he had heard and began to establish a work in South Africa, which lasted for decades and grew to seven hundred thousand in number in a nation of fifteen million. His hunger for God continued to grow. After nine months of prayer, fasting and many shed tears, he was finally baptized in the Holy Ghost, whilst in someone else' house where he had gone to pray for a sick lady. His life became more powerful after this; God flowed through him with a new force. And healings were of a more powerful order. To Lake, the baptism of the Holy Ghost was to give the Spirit of God such absolute control of the person that the Spirit will be able to speak through them in unknown tongues. Anything less he classified as being "covered" with deep anointing yet not sufficient to be called a proper baptism in the Holy Spirit. Lake had a revelation of the purpose that God had in mind for the human race. To lift people in life and consciousness to the same level that Jesus himself enjoyed. This is the same vision that stirs our hearts today. A vision of the divine reality of the salvation of Jesus Christ. The knowledge of the relationship between your soul and of the soul Christ. His Ministry John Lake was a strong, rugged character with a loving and winning personality. He was about six feet to six feet two inches tall, and weighed about two hundred pounds. He had clear gray eyes and a hearty laugh. In 1901, Lake and his family moved to Zion City, but three years later left again. 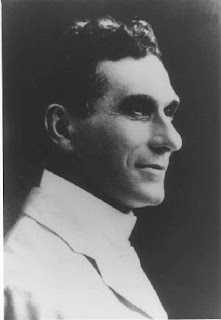 On 19 April 1908, he and his family left Indianapolis for a five-year missionary stay in South Africa. Here he founded the apostolic Church and was elected president, with one 125 white and 500 native congregations eventually organized. He returned to the United States in 1912, after his wife died unexpectedly of a stroke. He never returned to Africa after this. John G. Lake had a deep love for his family. One of the greatest blows to him was the loss of his wife while he was on the mission field. In 1913, he married Florence Switzer of Milwaukee and fathered another five children - giving him twelve children. Then in 1914 he took his family and moved to Spokane, Washington. Here he purchased some rooms in an old office building. Lake transformed these offices into the Divine Healing Institute. This was a place for healing and a place where you could learn how to apply God' healing power to your everyday life. A place where miracles happened. He saw many miracles in these rooms. One in particular was that of Mrs. Teske, who at thirty-five years of age had developed a fibroid tumor: "A twisted mass of muscle and sinew, arteries and veins, teeth and hair. The most disorganized twisted and jumbled mass that is possible." This tumor was thirty pounds in weight that would equal the size of four seven and a half pound babies. One day she could no longer stand, nor sit, and out of her agony, she cried out to Jesus for healing. The power of God came on her and she began to twist and crunch, and within three minutes she was totally healed. The tumor had utterly vanished. Lake had a right concept of God as a loving Father. He also had compassion, holiness, boldness, vision, humility, faith and prayer. All of these points play a part and they are all needed. John G. Lake died in 1935, he was sixty-five years old. His Nature and Lifestyle He never refused to answer the call of one who was sick, nor did he turn them away. Even to the point that he went to a strange city in Africa planning to get some rest. Once they knew he was there, they brought the sick, the blind, and the crippled. His compassion went out to them and God strengthened him in his time of need. Mrs. Lake was also a versatile woman. She never knew when he would bring someone home or give away their groceries. This did not bother Mrs. Lake; she also had a love for His people. He was very bold when he talked on the things of God. In a conference in Africa they were discussing the tremendous influence of the native medicine men “witch doctors”. Lake said to them, "Why don’t you cast the devil out of them and get people delivered from their power." Lake reminded them of the scripture "greater is he that is in you than he that is in the world". He was also called to pray for a man in Johannesburg, South Africa. They had locked him away as he was in delirium tremens (disorder due to heavy drinking) as he had already tried to over power four young men, almost killing them. But again, Lake stood on the promise, greater is he that is in you, and soon this man was delivered and on his knees weeping and praying, he had become human again. He was a faith man, like all the other men of God. And God supplied his every need. One day he came home and his son told him they had no food, that they had just given the last of it to the younger children. His response, "let us pray" and before breakfast, the next day a vehicle came with food for them. He was a man who refused to compromise. Nothing would sway him from the word of God. Lake was a very humble man, he always gave God the glory, and it was His power in him that did the things he did. He said, "his soul was not big enough to carry the wonder of God, nor his heart subdued enough. It was an anointing of power". Lake was also a man of prayer. He spent time on his knees praying but also like to walk and pray. This was his favorite way of communing with God. The anointing is given for service, go out and use it; let it use you to destroy the works of the devil. Then you can run and pray, and pray as you run. Lake had an all round message and understanding of the word. He not only taught on healing, but also on every subject needed to build a good, balanced Christian life. His sermons were twenty to thirty minutes long and he would take a point and develop it with living and real illustrations. They were driving, fearless messages. Yet, in ministering to the sick, he had a marvelous compassion and tenderness. We can learn from John Lake is to PRAY. PRAY. PRAY. Teach the people around us to pray. Prayer is the door of entrance into the heart of God. Make it your goal today to pray and to teach others to pray. Dear Lord, we thank You that we can come to you anytime through prayer. Helps us to always come to You in the good times and the bad times to get Your leading in our life. In Jesus’ Name, Amen. "Daddy, put me on your shoulders and let me touch Grandma's hand!" The little girl said. Daddy bent down, turned her around, and lifted her high above his head until she was safely positioned on his shoulders. "I can see tomorrow up here, Daddy," she said. "You can?" He asked. "What does it look like?" He questioned her. "Just like today, but more pretty!" She giggled. "Now hold on, Jenny. I'm going up on top of this hill. When I tell you to, stretch your arms way up and you can touch her hand." He carefully walked up on top of the small hill just behind the bench I was sitting on. The softball fans sit there each evening during the spring and summer watching the local players compete. But today this hill served a higher purpose. For this is a spot where memories are made. This is a moment between parent and child that gets filed away in memories for tomorrows yet to come. Perhaps when this young girl will hold her babe high upon her shoulders and together they will reach for Grandpa's hand, just like when she was a child. He came down to sit as his daughter played nearby. He shared with a man sitting there that Jenny was very close to his mom, who died a few months ago. "Jenny said she wanted to hold hands with Grandma like she always did. I told her Grandma was in heaven, out of reach,"
"Jenny told me that heaven is in tomorrow. If she climbed way up high she could see it and touch Grandma's hand." "Well, the last time she saw Grandma, she told Jenny that one day soon she would go to heaven. Of course Jenny wanted to know when. Mom said 'Maybe tomorrow, Jenny. She died two days later." "So, then, heaven is in tomorrow,"
"So does she feel Grandma's hand?" "Yes, very much so. In fact..." he paused when his daughter came running up to him. "I'll be right there, Jenny." Jenny is such a beautiful child. You look at her and think "buttons and bows" like a little girl in a story book. He continued. "One day when we did this, she stretched out her arms and said, "Daddy, I can feel her hand!" Of course I played along and asked if it were soft like I remember." "She then said, 'Yes, Daddy. Dear Lord, We thank You for the promise of Heaven. We pray that as we look forward to heaven that we would take the time to share the great hope with those around us. In Jesus’ Name, Amen. The day started out to be another busy day for Sharon. She had awakened at 6:00 A.M. She started the day with prayer and reading God's Word. Soon she knew the grandchildren would be coming and there would be no down time for her. She noticed a shortness of breath, but shrugged it off and grabbed her morning coffee. The four grandchildren arrived and were all wanting breakfast. Now, breakfast was hard because no two wanted to eat the same thing. One would eat eggs, the other toast, etc. It was always such a rush and Sharon was always more than happy to have it out of the way. She was still experiencing some shortness of breath, and now there was some discomfort in her chest. She was not at all sure what was going one. She grabbed a Prilosec, thinking it might be her hernia acting up. An hour later after much prayer the Prilosec did not seem to be helping at all. The pain only got worse and the pressure got heavier to where her breathing was labored. She picked up the nearby phone and called the school where her daughter taught. She told the secretary that she needed her daughter right away, as she had to go to the doctor. The school was only a couple of blocks from the house so Sharon's daughter arrived quickly. Sharon had already made a call to her Pastor asking him to take her to the Doctor. The Pastor was there in a matter of minutes. The pastor prayed with Sharon on the way to the doctor's office. It seemed that the eight miles was a very long trip this time for Sharon. The prayer did help her to calm down but not being sure just what was going on, she was very concerned. When they arrived at the Doctor's office, she was taken immediately in and they started an EKG. As the Doctor watched the paper clicking out of the machine, he began to look worried. He looked up and said, "Well, Sharon do you have a preference to a certain hospital?" Sharon smiled. "No, I am not too crazy about any of them, why?" Her Doctor gave a half smile and said, "Your EKG is not normal. There is something going on that is not right. We need to get this checked out now." The Doctor asked his nurse to get the Pastor and bring him back to the room. When Pastor arrived, the Doctor asked if he would pray for her. Pastor James said nothing as he took hold of Sharon's hand and the Doctor's hand. "Sharon, we are going to ask the Lord to touch you and grant unto you His peace." The prayer did help for the fear that was consuming her seemed to ease, but the heaviness was so strong by now that she struggled to breath. The Dr. put another nitro-glycerine pill under her tongue and that did ease the discomfort. He had to do this three times--once every five minutes or so. When the ambulance arrived, they loaded her onto the stretcher. They started an IV and started to monitor her very closely. Everything seemed to be a blur to her. They took her to a near-by hospital but they decided that she needed to be in a bigger hospital that would have the necessary facilities. This all seemed like a dream, a very bad dream. Sharon was taken to a big hospital in a city 60 miles from her home. She was put in ICU. In a short time her family arrived at the hospital. She was in and out of consciousness and not sure just what was happening to her. She could feel a pulling and a tugging as if something was pulling her down. She struggled and tried to pull away from whatever this was, but to no avail. She fought until she was exhausted and she felt she had no fight left in her. Sharon cried out, "Lord Jesus, Help Me!" It was then she saw a shield that seemed to surround her and she felt a Presence. She knew the Lord was with her and that evil forces were trying to pull at her and take her life. But The Lord stopped them. The forces were hitting hard and the pain was so bad, but they could only go so far. The Lord was protecting her. There was pain and she was suffering but the Lord was in control and He would not allow them to take her life. Exhausted, Sharon fell against the pillows. She felt the presence of the Lord and knew He was with her. She knew all would be well. There may be rough times ahead but with the Lord by her side, she would handle them. Sharon was in the hospital seven days. They had done a heart catheterization on her and the bleeding did not stop so that caused some concern. Finally, after a battery of tests and examinations she was told that her heart was diseased and there was nothing they could do for her but give her medication. Everything the Doctor said was negative. He had nothing positive to say. As she listened to him she said a prayer. "Oh Lord, create in me a new heart. They say this one is so bad, so I know all is possible with you, so give me a new heart, one that is well and in good shape, in Jesus' name, amen." Sharon searched out a Cardiologist who was closer to her home and made an appointment with him. She was on so much medication and needed to see a doctor often to have her situation evaluated. Three weeks later she went to see him. He kept her on the same medication, telling her things were looking up. It was not two weeks later, early in the morning that the heaviness came again. She knew this was the same as before and immediately fear consumed her. She did not mess around. She called her daughter and they went immediately to the emergency room. They sent her on to the hospital and put her in ICU on a nitro-drip. 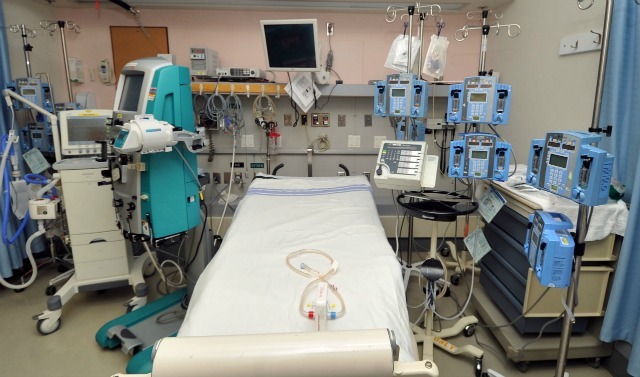 The Doctor came and ordered another heart catheterization to be done. She informed him she was not having another one of those done. Her experience from the last one was very fresh on her mind. The first one had caused her multiple problems and much pain. There was no way she was going through that again. The Doctor insisted that this had to be done so they could see just what was going on. Her family insisted that she have this done and she said she would pray about it. She had no peace about this at all. She prayed all day, and with the insistence of the doctor and the coaxing of her family she agreed to have it done, but not without reservations. The next morning the procedure was scheduled and Sharon prayed for peace. She was taken to the Catherization room and a nurse walked over to her and took her hand. "This will be all right. I see where you had a very bad time the last time this was done, but this time will be different for we are going to ask the Lord to direct the Doctor." She looked at her and said, "Are you a Christian?" "Both your nurses are Christians and we will both be in agreement with you that this will go smoothly and all will be fine. How would that be? Sharon could only nod. She whispered, "Thank you, Lord." It was then that the peace she had been praying for came over her. This time the procedure was very different. Everything went smoothly and she just rested in the Lord and let Him direct the hands of the doctor. Before she knew it, it was over with. That afternoon the doctor came into her. He took hold of her hand and said, "I really cannot explain this, but the pictures we took of your heart look great. We can find nothing wrong with your heart. When compared with your other film, it does not even look like the same heart. It's like a miracle." Sharon broke down and cried. The entire family cried. For indeed this was a miracle! God had created in her a new heart and He even had given proof to the skeptics, for they had the before and after films to show just what He had done. The whole family bowed in prayer and thanksgiving. Giving Jesus, the Jehovah Rophe all glory and honor and praise that He alone deserves. He had touched her heart and He had given her a new heart. And even if He had not done this, Sharon knew that He was with her and would never leave her. She had the blessed assurance that He is still on the throne and in complete control. The films were given to Sharon's family doctor, who is a Christian, to use to show that Jesus is still the same. He still heals and He has not changed. What a testimony He has given to Sharon and her family. And they tell anyone who will listen!! He is still the Healer. Dear Lord, we thank You that You are in complete control of each of us. We thank You that You can heal our bodies even when it seems that there is no hope. In Jesus’ Name, Amen. He was born with cerebral palsy in South Africa. He barely survived his birth. He did not walk until he was four years old. One leg was longer than the other and he could not speak well. For most of his life, his hands shook and he had little control over them. Feelings of rejection and bitterness at his plight were common occurrences during his growing-up years. During his school years, he was chastised by kids and generally rejected by society. At age 17, his father felt led to take his son to a healing service. That night, the young boy's leg divinely grew two inches. He no longer walked with a limp. Bradley met the Savior and began to grow in his intimacy with Him. God began to speak to him and show him things. Prayer became his source of comfort and strength. God gave him insights about people and situations, bringing blessing to all who encountered him. Today, this young man travels around the world as an internationally known intercessor and founder of a school of intercessory prayer. Literally hundreds of hours of knowledge about the way God speaks to His children have been birthed in and through this young man. One evening Bradley walked forward in a meeting of about 40 business people and handed a note to the leader during a Christian business conference. The note was for someone in the room, but Bradley did not know whom it was for. It was the last day of a 40-day fast for this writer. The message gave a specific description of what I had been experiencing the two years leading up to that night. Nobody would have known such details. I knew it was for me. It was a miraculous "telegram from God" that provided confirmation and encouragement of where God was taking me. God used one broken man to speak to another broken man. God's ways are not our ways. His preparation of His warriors seems cruel and hurtful at times. His ways are much higher than ours. 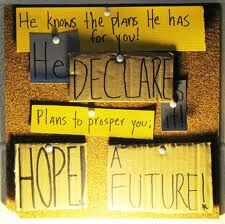 Trust in the God of the universe that He can orchestrate the events of your life when they seem the darkest. Dear Lord, we pray that our trust will be completely in You. We thank You that You are interested in what happens to us and will use everything we go through to make us the person You have planned for us. In Jesus’ Name, Amen. I have read that if flies are placed in a jar with air holes in the lid, they will fly around frantically, banging into the lid, desperately trying to escape from their prison. If left there long enough, eventually they will stop hitting the lid. Later, if the lid is removed, they won't even try to escape. Somehow they have been conditioned "to feel and believe" that there is no escape. They just keep circling in the cramped jar. In some ways, many people are like this. Some- where in their past, through a frightening and traumatic experience, such as being raped, sexually, physically, or emotionally abused or rejected as a child, they have been conditioned to believe at an unconscious feeling level that they, too, are trapped and that there is no way out of their dilemma. And they end up going in circles with their life and/or relationships. To be freed from this endless cycle of defeat, those who have been abused need the healing touch of God. As a general rule God uses other people to bring us this healing and deliverance. For the Christian, deliverance begins with acknowledging our problem (often best detected by the symptoms we have), genuinely wanting to be healed with a willingness to face the agony of these painful damaged memories and doing what we need and can do to be healed. And most important of all, praying for God to be with us as we face the circumstance. 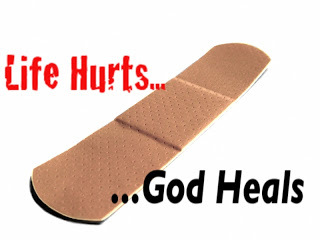 Dear Lord, thank you that you care about our pain and where we have been hurt in our past. Give us the courage to face these painful memories, connect to them and bring them to the light for your healing and deliverance. In Jesus' name. Amen. About 400 AD, Augustine, during his pastoral ministry, came to know a woman in Carthage named Innocentia. A devout woman and highly regarded, she tragically discovered that she had breast cancer. A physician told her the disease was incurable. She could opt for amputation and possibly prolong her life a little, or she could follow the advice of Hippocrates and do nothing. Either way, death would not be put off for long. Augustine reports: Dismayed by this diagnosis, "She turned for help to God alone, in prayer." In a dream, Innocentia was told to wait at the baptistery for the first woman who came out after being baptized, and to ask this woman to make the sign of the cross over the cancerous breast. Innocentia did as she was told, and she was completely cured. When she told her doctor what had happened, he responded with a contemptuous tone, "I thought you would reveal some great discovery to me!" Then, seeing her horrified look, he backpedaled, saying, "What great thing was it for Christ to heal a cancer? He raised a man who had been dead for four days." 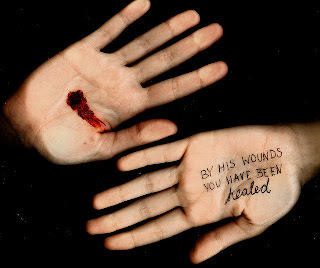 Through Christ's wounds, we are healed from the death sentence of sin. Dear Lord, we give thanks to You for Your sacrifice for our sins. We thank You for given Your life on the cruel cross for each of us. In Jesus’ Name, Amen. A young lady was relating an experience that she had in a seminary class with her teacher, we'll call Brother Smith. She said that Brother Smith was known for his elaborate object lessons. This particular day when Sally walked into seminary she could tell they were in for another fun day. There was a big target on the wall and a table full of darts. Brother Smith told the students to draw a picture of someone that they disliked or someone who had made them angry and he would let them throw some darts at the picture. Sally's girlfriend on the right, drew a picture of the girl who had stolen her boyfriend. Her friend, on her left side, drew a picture of his little brother. Sally decided to draw a picture of Brother Smith. She really put a lot of detail into her drawing, even to the extent to drawing pimples on his face. She was really pleased at the overall effect she had achieved. The class lined up and was really getting into the dart throwing, with much laughter and a lot of hilarity involved. Some of the darts were thrown with such force that the pictures were ripped. Sally was toward the end of the line, and filled with disappointment when Brother Smith, because of time limits, asked the students to return to their seats. Sally was thinking how mad she was that she hadn't been able to throw darts at her picture of Brother Smith. The classroom had been quite chaotic during the dart throwing. Then Brother Smith removed the target from the wall and revealed the picture of the Savior that had been directly underneath the target. A complete hush fell over the room as the students viewed the torn picture, the eyes pierced out, and marks and holes all over the Savior. Nothing else was necessary as the tear-filled eyes of the students were riveted on the picture of Christ. The students remained in their seats even after the bell had rung, then slowly trickled out of the classroom. How do we treat those that are all about us. Are we throwing darts at them? Or are we showing love? Dear Lord, we pray today that those that come our way we would show Your love in all things. 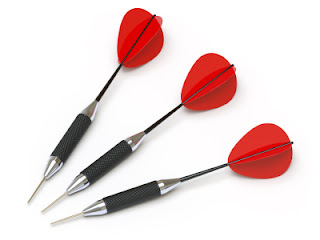 Help us not throw darts at them. In Jesus’ Name, Amen. Are the rich truly free of worry? Or is it possible they are a bit more distressed than most commoners like you and me? Let's think about it. Being rich is not easy at all. You have constant worry -- about your possessions, your protection, your investments ... It never ends! Imagine having to hire a multitude of personnel to guarantee a semi-quasi "peaceful" and less-stressful life! Lawyers, tax-consultants, insurance agents, investment advisers, body guards ... This list could go on and on. When oil was found in Pithole, Pennsylvania, in 1865, it attracted a lot of people whose only goal was to get rich quick. But they soon realized there was a price tag attached to their dream. Equipment was costly, rent was costly, the parcel of "promised" land was costly, food was more costly in this neighborhood than anywhere else, barrels were costly, and even the transport of oil barrels was costly. It's true that at first the transport fee was feasible: 1$ per barrel, which would be somewhere in the neighborhood of 20$ in our day and age. But almost overnight the charge tripled to 3$ a barrel! Oh, there was a "good" reason behind the price increase: Carrying 360 pound barrels over steep, muddy trails shortened the lives of the horses and mules employed in this endeavor. And since they worked non-stop around the clock, they needed to be replaced regularly! Now let’s take a look at the about the plight of these poor animals? Then came Samuel Van Syckel, who saw an opportunity to become rich by cutting the cost of transportation back to 1$ a barrel. And he wouldn't need the help of donkeys or horses! Instead he built 5.5 miles of 2 inch wrought iron pipe, from Pithole to Oil Creek. In fact, he was the first one to successfully transport oil via a pipeline! Until lengths of the pipe mysteriously were torn up in the dark, that is. It seems he had made some enemies with the rough, tough teamsters who ended with no more cargo or dying horses! No problem, armed guards were hired to patrol the line. And you can well imagine that this was not the end of the story. More complications were foreseen in the near future. We are talking about the mighty dollar after all! Remember money can buy neither peace nor happiness! Dear Lord, we thank You for the happiness You bring to each of us. Help us not focus on the things around us to bring happiness but to completely trust in You. In Jesus’ Name, Amen.